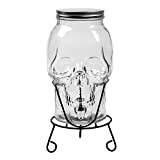 At your next Halloween bash, serve up all your costumed guests (living, undead, and even the superhero dorks) a tasty liquid concoction from this cool new Giant Skull Drink Dispenser. 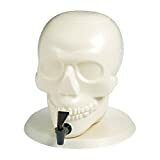 This spooky skull-shaped plastic drink dispenser has a spigot where its nose should be and a pre-sawed removable cranium lid for filling up its generous two gallon capacity. 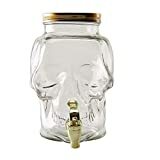 Since it dispenses from the nose, I recommend a bright green type of drink. 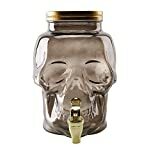 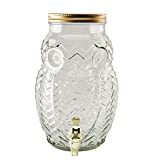 Here's a real attention-getting drink dispenser for your next party!